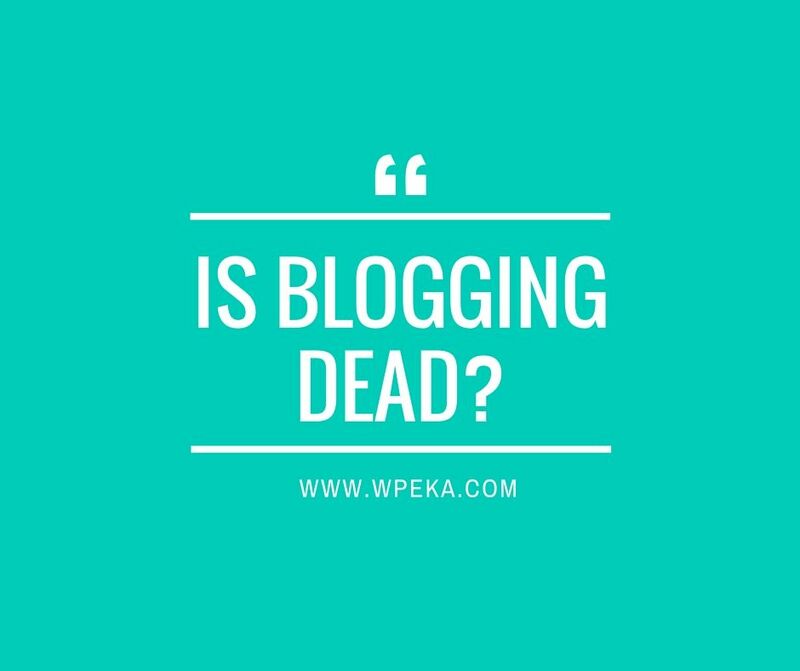 A number of experts have come out stating that blog comments are dead, and some very prominent blogs and news sites like Recode, CNN, Popular Science, and Copy Blogger, have done away with their comments section altogether. There was a time when there were many advantages of blog comments. They created value for bloggers and their community, giving a sense of how popular their blog posts were and how well they were being received by their readers. Today, however, there are few benefits of blog comments, except on very new blogs that still need to build conversation and community around their content. 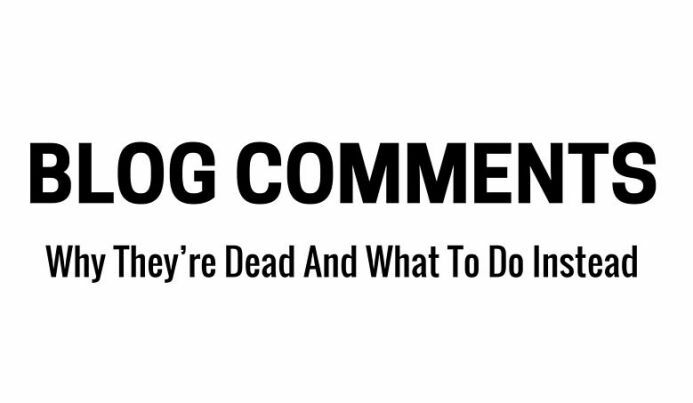 Here are some reasons why blog comments are dead, and tips for what you should do instead. Ever since blog commenting became popular as a method for building links and referral traffic, shady SEO professionals have abused them by posting spammy comments full of backlinks. Moderating hundreds of spammy comments a day, despite using anti-spam plugins, has become a reality for many popular bloggers. One of the reasons that Copyblogger removed its comments section is that 96% of their comments were spam. That’s a huge number. Imagine how much time it takes to moderate so much comment spam to find a few gems? I know, because I have to do it for a number of my blogs. It’s frustrating. It’s almost inevitable that the comment sections of popular blogs will attract internet trolls who post nasty comments, targeted either at the blogger’s views or the blogger themselves. Having to deal with such negativity can be a downer for any blogger, and most would rather do away with comments altogether, than have to deal with troll attacks. If you don’t own a popular blog, it’s likely that your blog gets very few comments, if at all. Call me cynical, but maintaining a comments section in the hope that you’ll get a few real comments, while having to clean up hundreds of spammy comments a day is not a good way to spend my time. Even when we read a blog post nowadays, a large number of us prefer to comment about it or share about it on social networks like Facebook, Twitter, LinkedIn and Google+. “Comments are not dead. They are just decentralized,” says Jay Baer. So What Should Bloggers Do Instead? 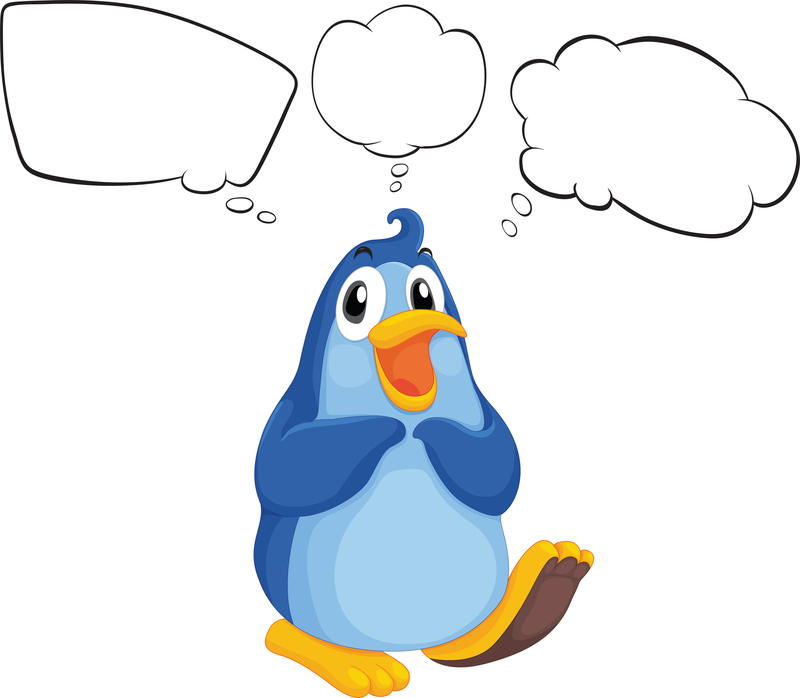 So, if social media has taken over the conversation around your blog content, how do you keep up with it? Here are some ways that bloggers can ensure that the conversation around their content continues. While assessing the pros and cons of blog comments, it becomes obvious that, if you want to leave a way for your readers to comment on your blog, then Facebook Comments is the way to go. Not only does this make sense because people using Facebook Comments have to comment under their real names, but they can also share their comment to their Facebook Profiles, in effect, sharing your blog post with their network. Because it removes the mask of anonymity and means their comments are potentially visible to their entire network, Facebook users are less likely to leave spammy or nasty comments on your blog posts. There are very real repercussions of trolling people on social media. Installing Facebook Comments is not that easy, however. 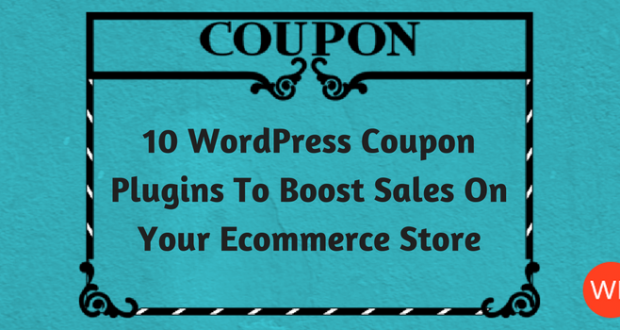 The video here will show you how to install Facebook comments on your WordPress blog. The Facebook Comments WordPress plugin also makes it easier for you to setup, administer and customise Facebook comments to your WordPress blog without any hassle. Changing over to the Facebook Comments system is a good option if you already have an active community of readers who love commenting on your blog. Changing your commenting system might cause some heartburn at first, but your readers will get used to it. Take comfort from the fact that top blogs like the Huffington Post have completely revamped their comments section to Facebook Comments. Get more active on your social profiles. Share your blog posts on all your profiles and engage with the readers who leave comments, so that they don’t feel neglected or ignored. 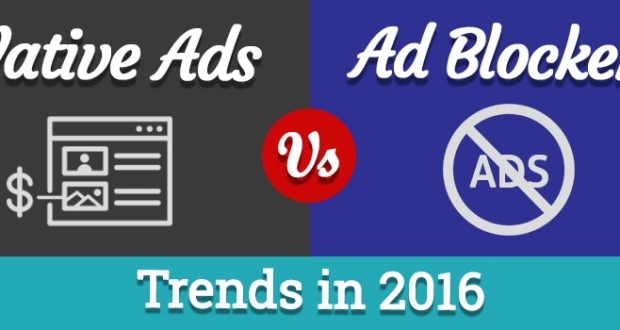 You can also take benefit with Facebook Instant Articles. This will mean spending more time on social media, but because that’s where the conversation is, it will pay off in spades for you and your blog. If you feature guest posts on your blog, have your guest bloggers answer the comments on your social profiles and pages, when the conversation revolves around their content. Thanks to social media, the world of online publishing is changing rapidly. With many social media networks now offering long-form publishing – like LinkedIn’s Publisher option or Facebook’s revamped Notes – content creation and sharing is becoming more decentralized. While having a blog is still important for you to own your brand and build a community, consider using these long-form publishing options to republish your blog posts, partially or in whole, to your social media channels, so you can advance the conversation there. While it’s not necessary to disable comments entirely on your blog, you can’t expect the conversation to stay there. It’s time to embrace a new world where blog comments are no longer in one place, but are all over the internet, wherever your blog is being shared or linked to. If you want to monitor the conversation and shares of your blog content better, check out my post on 6 Social Media Monitoring Tips To Track Blog Post Mentions. You’ll learn how to use social media monitoring tools that will help you monitor social media mentions and backlinks to your blog posts online. That way, no matter where your content is shared, mentioned or linked to, you’ll get to know about it and be able to participate in the conversation. Do you have any tips of your own to share? Please do so in the comments below. 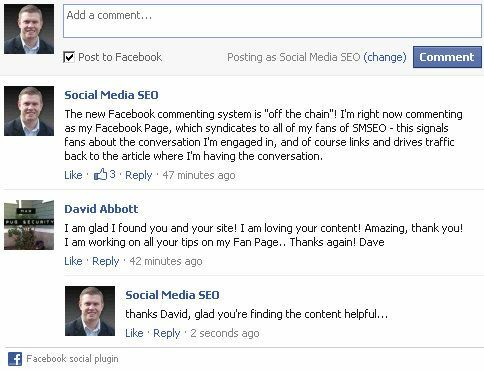 Related Articles: Can blog commenting lead to sales? Good to be here today. I am here today via Quora wherein you answered to my question about blog comments. Good to read this informative post about blog comments. Very informative post to pick up a lot on the subject. Hey, in facebook comment boxes, there is no option for moderating the comments. Of course as you said fb account holders a major number are genuine ones but at the same time there are many fakes out there, there are every chance to get spammy comments of unwanted ones thru the box. Hey, i have installed CommentLuv on my page and that really attracts comment authors. can we opt both the facilities in wp fb comment box and other options like CommentLuv etc? Of course, most of the comments are spam comments, but in WordPress there are good plugins to filter spam comments. Thanks for sharing such a lot of information. 6 Social Media Monitoring Tips To Track Blog Post Mentions. Thanks for sharing this link at Quora. I think you should be able to use both Facebook comments and CommentLuv on your site, if you want the benefits of both. Thanks for the response. Agree with you that blog commenting is dead. What should be the other sources to build links ? Vikas, use the Skyscraper technique by Brian Dean and research broken link building. Good day very nice blog!! Guy .. Beautiful .. Wonderful .. I will bookmark your site and take the feeds also?I’m satisfied to find numerous helpful information right here in the publish, we’d like develop extra strategies in this regard, thank you for sharing. . . . . .